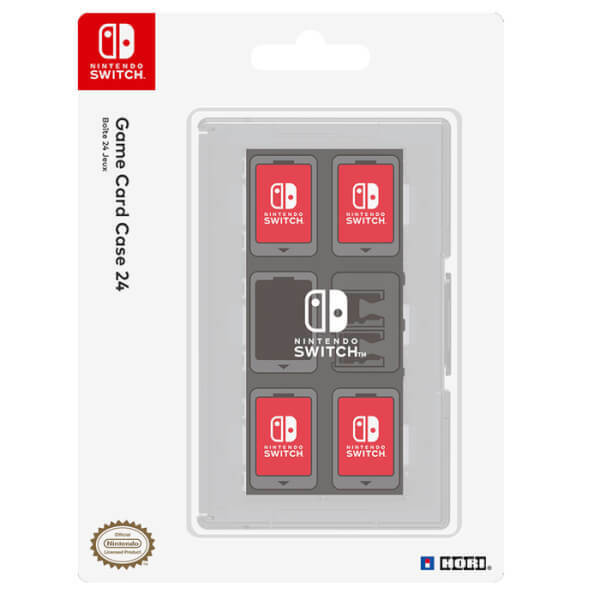 Take your favourite Nintendo Switch games anywhere with this stylish Game Card Case. 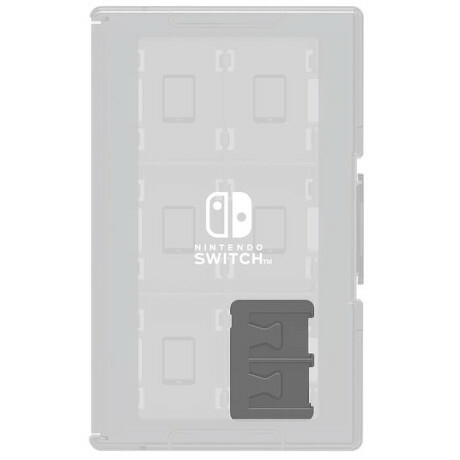 Available in 2 colours (Clear or Black), this large capacity case offers storage for up to 24 Nintendo Switch game cards with 2 Micro SD card storage slots. Makes it easier and quicker to find the game. Defiantly recommend if you plan on buying a lot of physical copies in the future. Compact & sturdy case to hold your games in. Great value. Game case is good quality and will securely hold switch games. The fact it's clear means I can easily see my games. It's a compact holder, being able to hold a lot of games and yet still be small. However I do find it's very loud to open and get games out, and a bit fiddly. A few times I had to force back a peg just to get a game card in which worries me a little. This could be something that gets better over time however. Does the job perfectly, no complaints.